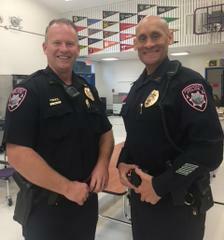 FPD Goes PINK in October! We are once again participating in the Pink Patch Project in support of cancer awareness. 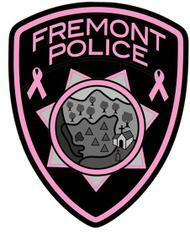 The Fremont Police Department is proud to announce our participation in the Pink Patch Project for the second year during the month of October. Joining more than 175 agencies across the Country, the law enforcement Pink Patch campaign is designed to increase awareness and stimulate conversations in our community about the importance of early detection and treatment in the fight against breast cancer. Participating agencies will promote awareness by donning a pink version of their agencies uniform patch during the month of October. Many agencies will also sell their commemorative pink patches and proceeds will help fund breast cancer education, research and treatment. 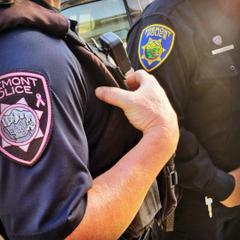 During the month of October, several Fremont Police uniformed personnel will voluntarily wear the pink Fremont Police patch to show our dedication and commitment to this collaborative law enforcement effort. A limited quantity of our commemorative collectors patches will be available for the public to purchase with all profits going to the HERS Breast Cancer Foundation. HERS Breast Cancer Foundation is a local non-profit organization in Fremont, serving the SF Bay Area. Their mission is to support all women healing from breast cancer by providing post-surgical products and emotional support, regardless of financial status. To learn more go to http://hersbreastcancerfoundation.org. Large Pink Fremont Police patches - $10. Small Pink Fremont Police patches - $5. The commemorative patches will be available while supplies last, to purchase at the Fremont Police Department during normal business hours Mon. – Fri., 6 am – 6 pm. and at community events such as Coffee with a Cop on October 3, from 5:30 - 7:00 p.m. at Slap Face Coffee and Tea. A special thank you to the Fremont Police Officers Association, the Fremont Police Management Association and HERS Breast Cancer Foundation for their partnership and support in this very important cause. For more information about the Pink Patch Project and the list of participating agencies, visit www.pinkpatchproject.com .